The snack vending business can be a great way to make extra money in an all cash business. Many people make beginner mistakes and loose money in the business. One common mistake that many people make is buying brand new machines. 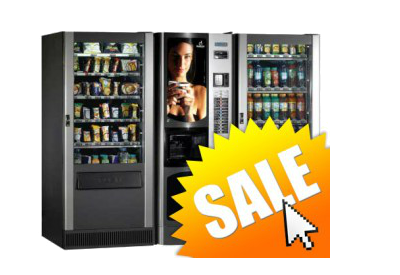 New machines are great for very large, established vending companies that have huge locations. For the average small vendors new machines don’t make any sense based on what they cost. What many of our successful small vendors do is to buy quality refurbished machines at a fraction of the cost of new. There is much more profit in snack vending with the use of potato chips and other bagged snack items than with candy bars. The price of candy bars has risen over the last year or two so much that there is less markup on those items when selling them at a reasonable retail price. Most small vendors start with can drink machines. These units produce the highest return on investment. Locations with over 50 full time employees could usually warrant a refurbished snack machine as well as a can drink machine, for locations with 100 or more employees multiple machines may be required. Depending on the amount of employees in the location you could consider a snack vending machine due to the amount of selections it has. Most modern snack vending machines have between thirty and forty selections and hold over three hundred items.